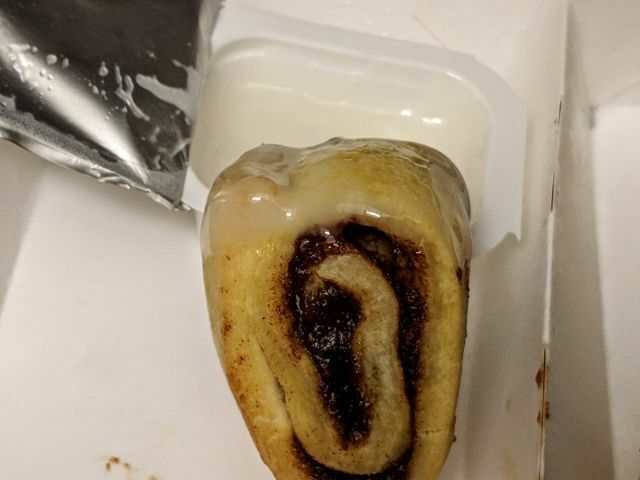 Burger King's Cini Minis are bite-sized cinnamon rolls served with icing dipping sauce. I paid $1.49 for a 4-piece order. My order felt a little undercooked. I wouldn't say the Cini Minis were raw but there wasn't much browning on the crust and the crumb was pretty flat. Both were fairly soft. 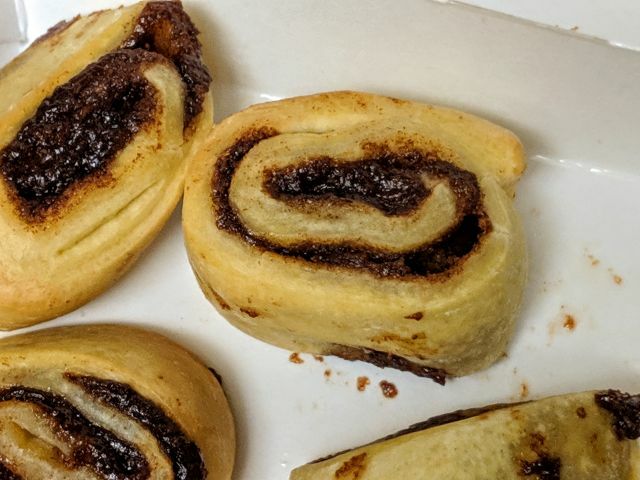 On the plus side, there's a good amount of cinnamon filling to each roll. The Cini Minis by themselves are not all that sweet but that's what the icing is for. The icing is plenty sweet and sticks pretty well to the Minis but could use some richness. 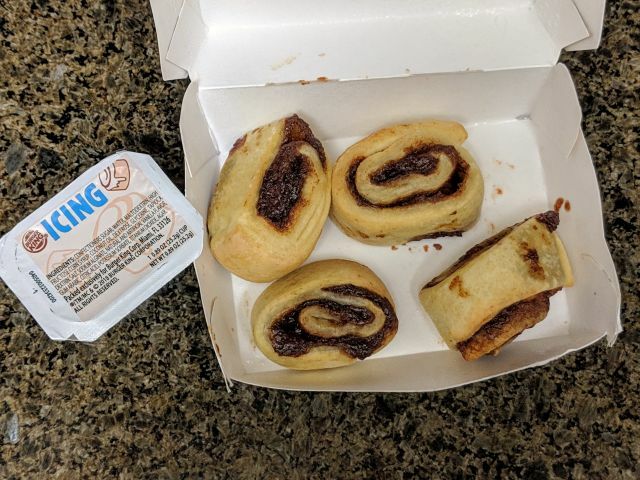 Burger King's Cini Minis are sub-par as far as fast food cinnamon rolls go (I think you'd have better luck with store-bought cinnamon rolls and a microwave) but they're convenient and cheap if you're already at Burger King and have a craving.